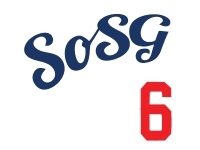 Sons of Steve Garvey: Headley Help At The Hot Corner? The Padres have told me that they’re not trading Headley or signing him to an extension before July 31. Perhaps they think there will be more of a market at the winter meetings, or that the price will come down considerably after his subpar season. I think the best trade value is almost always at the deadline because that is when teams get desperate, and with so many teams needing a third baseman, the Padres could be better off striking now. Just think, the Angels and Dodgers are getting nothing at the hot corner; the Yankees would love a replacement for Alex Rodriguez; the Pirates could put Headley at third, move Pedro Alvarez to first and Garrett Jones to right field; the Reds could use the switch-hitting bat at third and move Todd Frazier to left. Furthermore, it's not as if Headley is going to settle for a below-market deal with the Padres this winter. If the club isn't convinced Headley will re-sign, now could be the time to deal. Bowden also mentions the Giants' RF Hunter Pence, the Blue Jays' RF Jose Bautista, the Mariners' RHP Hisashi Iwakuma, and the Royals' RHP Ervin Santana. I've learned to ignore Bowden trade articles. They are nothing but terrible speculation and his guesses on what works, which is never the trade that actually happens.